It’s National Lollipop Day, in these United States. As the shots from my latest adventure are still deep in the developing process, a single shot greets you today, at this – your Newtown Pentacle. Depicting the IRT Flushing Line – or 7 train – approaching the Roosevelt Avenue stop in Jackson Heights, I got this one while on my way to Flushing last week. 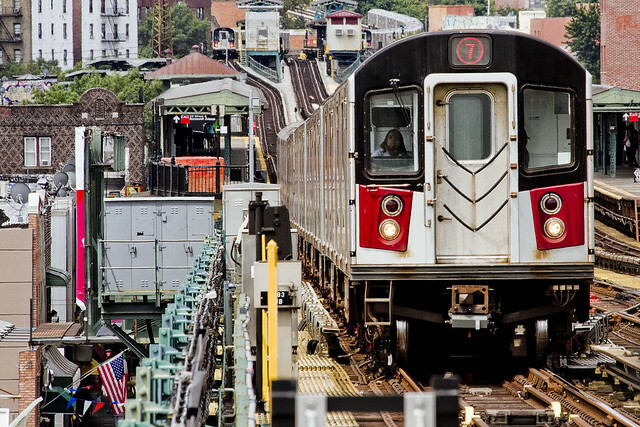 A humble narrator stands by the oft repeated assertion that the troubled 7 line is the most photogenic of all of NYC’s subway trains.